As conference play is starting for the Big 12 and SEC, I am asked which player is better Phil Pressey or Ben McLemore. 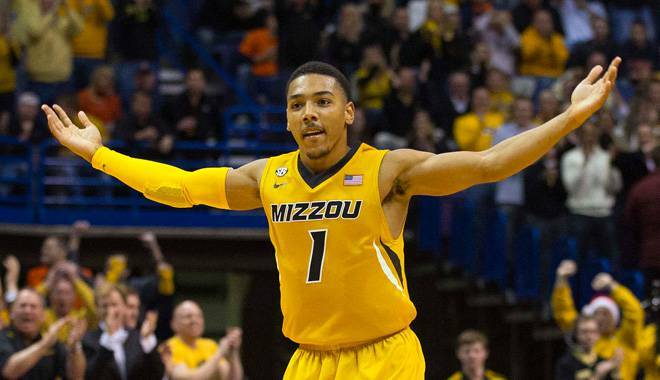 At first thought I would say Pressey is more important because of how efficient he has made Missouri’s offense. Pressey appears to be painting a new mosaic everyday with his beautiful passes and effective layups. Without Pressey, Missouri’s offense looks like a chicken with its head cut off. There is no smooth flow to the offense. Pressey’s second best trait behind his vision and passing ability is his quickness. Everyone knows about these skills but people often forget about him as a threat from beyond the arc. With Ben McLemore, Bill Self and the Jayhawks are getting a true scorer. He shoots the way Bradly Beal was predicted to shoot at Florida last year. Both players were Saint Louis natives. When coming out of high school Beal was the pick by everyone but Bill Self saw something special in McLemore. After redshirting his freshman year, McLemore has been able to showcase his talents every game. If I had my choice today I (KC’s biggest Gators fan) would take Ben McLemore over Bradley Beal. McLemore shoots the three ball with such poise and consistency. His stroke is as smooth as a babies bottom. McLemore is much better on perimeter defense then most expected. It is hard to choose between these two stars but because he is younger I would lean towards Ben McLemore. If it were for one season and I could build my team around a player, I would choose Phil Pressey. You let me know who is the best player. This entry was posted in Basketball, Basketball, Home, Midwest, National and tagged Ben McLemore, Kansas Basketball, Missouri Basketball, NCAAB, Phil Pressey.